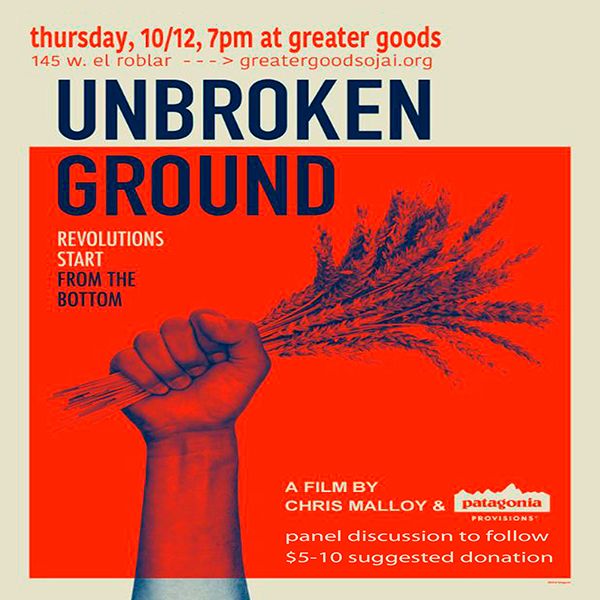 the second portion of the malloy brothers film series for the month of october will feature chris malloy’s 2016 documentary, “unbroken ground.” made in partnership with patagonia provisions, the film tells the story of four groups of pioneers in the fields of regenerative agriculture, regenerative grazing, diversified crop development and restorative fishing. panel discussion to follow. snacks & refreshments will be available.